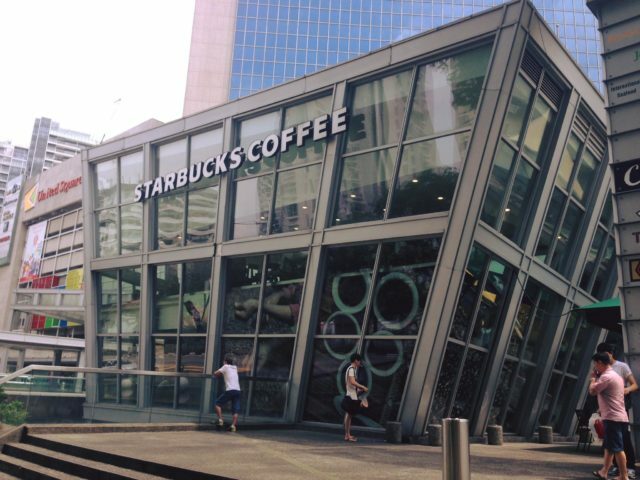 21 years ago, Starbucks changed every Singaporean’s perception of coffee. 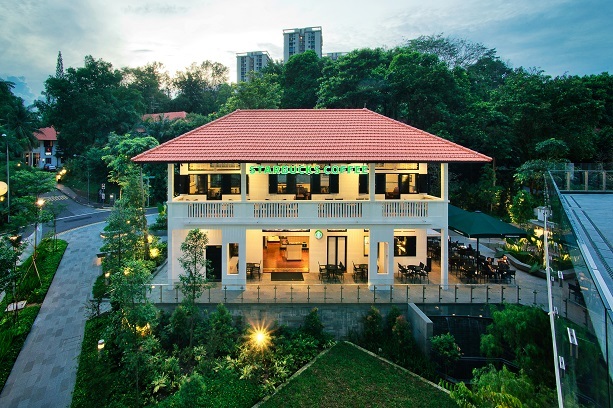 (Fun fact: Starbucks landed on sunny Singapore in 1996!) 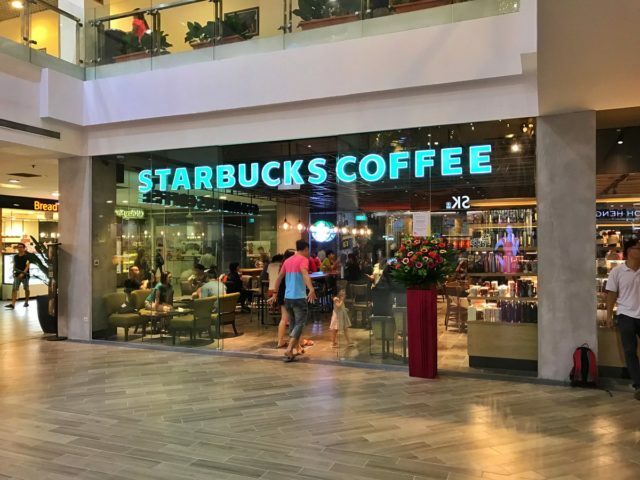 Ignore the naysayers, Starbucks IS the most popular coffee joint in Singapore. Who knew we needed Unicorn Frappuccinos and 1 for 1 festive drinks? 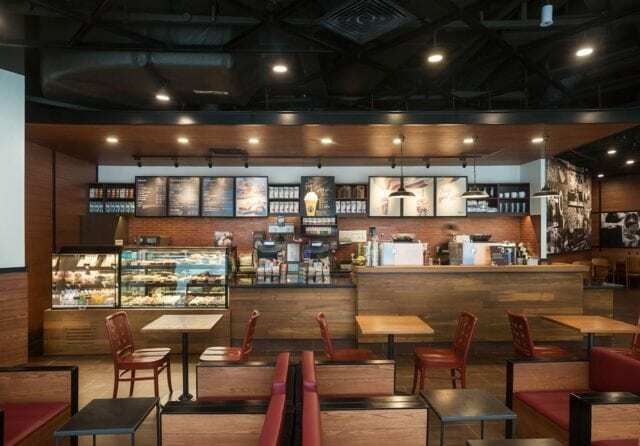 Here are some of the best Starbucks outlets in Singapore that are also the best meeting places, quiet studying corners, and convenient rest stops. Interested in earning real Cashback whenever you dine out? 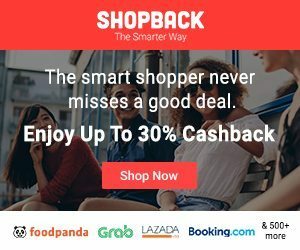 Click here to be among the first to find out more about ShopBack GO. And, if you want to be kept in the loop with regard to whatever’s new to Singapore’s food and beverage scene, follow us on our Telegram channel and you”ll never miss out! Probably one of the most humble Starbucks cafes in Singapore, this outlet is definitely a cosy oasis. 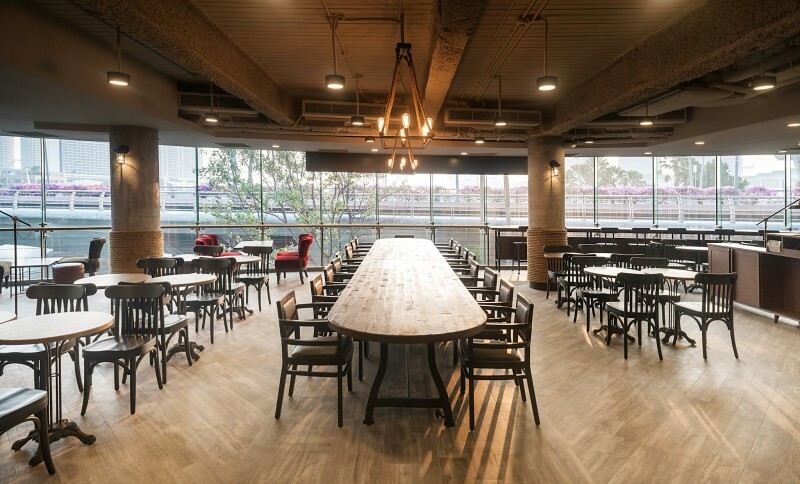 Tucked away in a hectic office tower, its location makes for a convenient place to meet clients and your quick coffee fix on mornings where you just can’t seem to keep your eyes open. 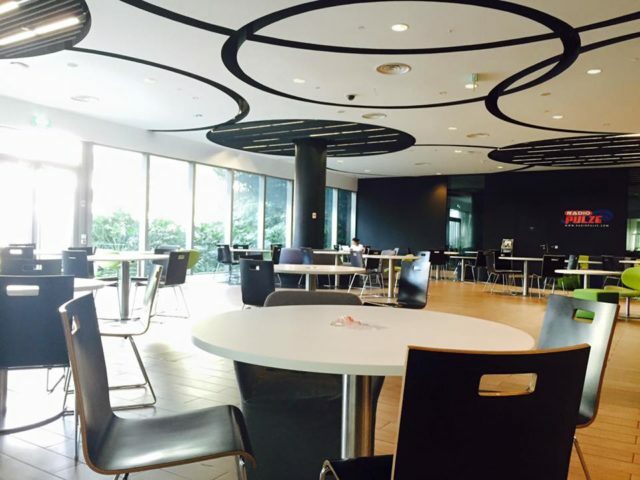 A definite favourite among NUS students at any time of the day and week (it’s open 24/7!) for getting work done. If you ever need a place to study with your books and laptop, this is the place to go. Although it can get a little crowded, it is still quiet and conducive for studying. There is also wide access to power points, such that there are at least 4 power points near each table. 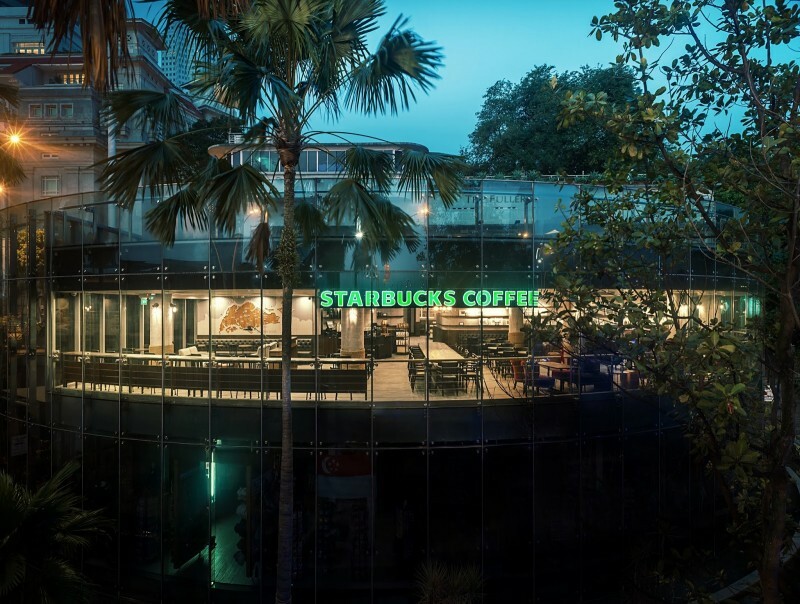 Open 24/7, Starbucks at Northpoint is also another great place for your late-night studying sessions. It is also a stone’s throw away for those living in the North, conveniently located in Yishun. 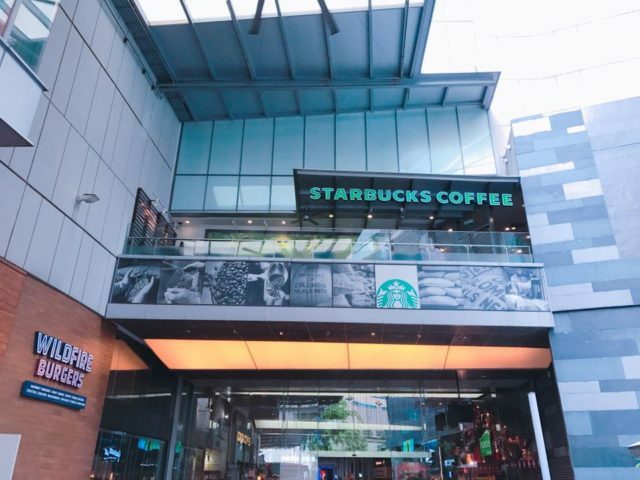 Located in Singapore’s Central Business District, Starbucks Capital Tower is a convenient place for professionals to hold meetings and get good coffee. Many have raved about this beautiful outlet, housed in a black-and-white colonial bungalow. Situated away from the city (and shopping malls), it is quiet and perfect for those of you who wish to unwind and relax. This outlet is known to be frequented by families with children, so feel free to plan your next family outing to this lovely corner. 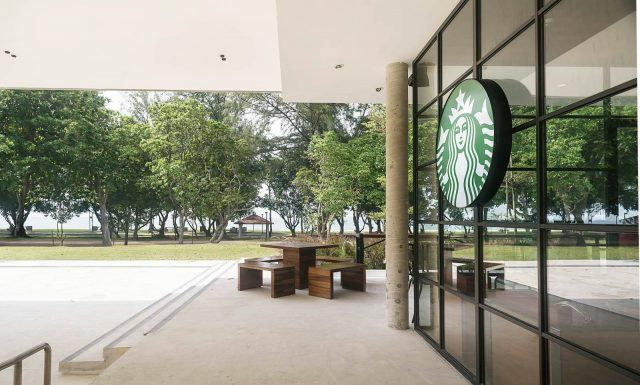 This Starbucks outlet offers, undoubtedly, one of the most scenic views in Singapore. Park yourself outdoors to enjoy the comforting sea breeze and calming views of – as its name suggest – last park greenery that slowly gives way to the sea. Perfect excuse for you to whip out your favourite pair of sunnies as you lounge about sipping your cuppa! For those who adore an open concept and prefer the hustle and bustle of the city, this outlet is the place to go. Situated right in the middle of 313 Somerset, it provides a respite from your shopping battles. The highlight of this outlet is its balcony area that overlooks the crowd entering and exiting 313 Somerset. Although not located in a shopping mall, this outlet is too beautiful not to be mentioned. 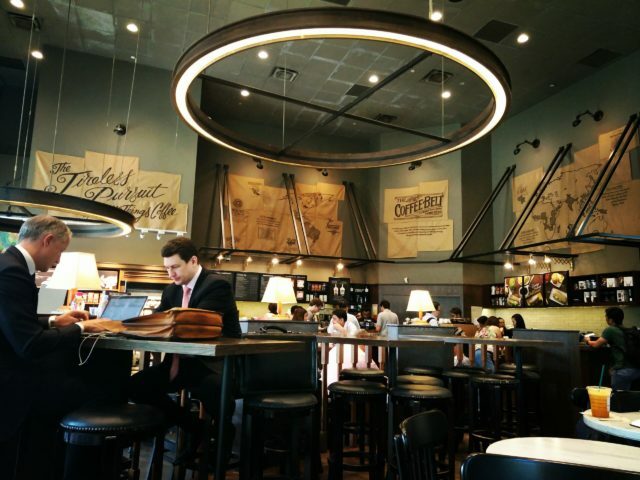 This specialty outlet features the Starbucks Reserve Coffee Bar and is sure to delight all coffee connoisseurs with its small-batch seasonal coffee beans and multiple fine brewing methods. 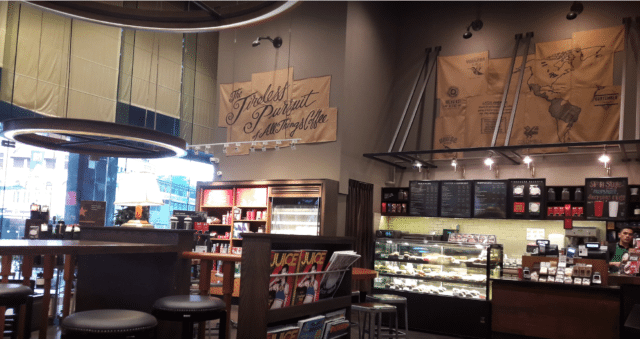 Kallang Wave Mall’s Starbucks outlet gives off a rustic charm and is a quieter alternative to the busy 313 Somerset Starbucks branch. This outlet is suitable for a relaxing evening after a day of exercise and work. If anyone’s idea of being chill is to be atas about your coffee, you’ve got to visit this outlet. 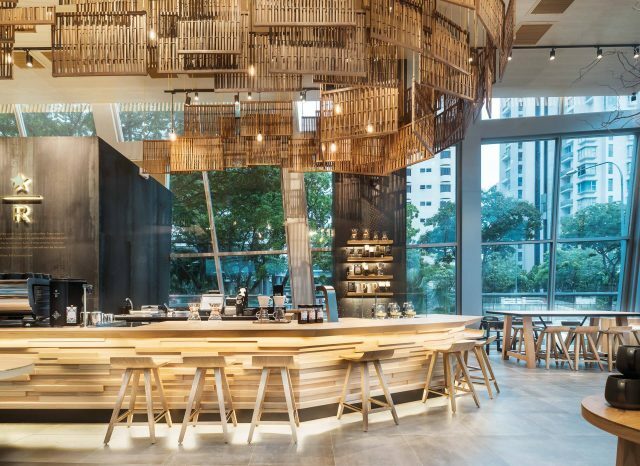 It is the first Starbucks Reserve in Singapore, which means that they serve coffee made from single-origin coffee beans from exotic places like West Java or the Galapagos Islands, which come in limited quantities. The coffee is made by rigorously trained Coffee Masters so you will be sure that the cup you get was made with good hands. The hundredth and the most enthralling outlet of the list. Spacious with a great view of Esplanade and Marina Bay, no other outlet is able to top the majesty on this one here. 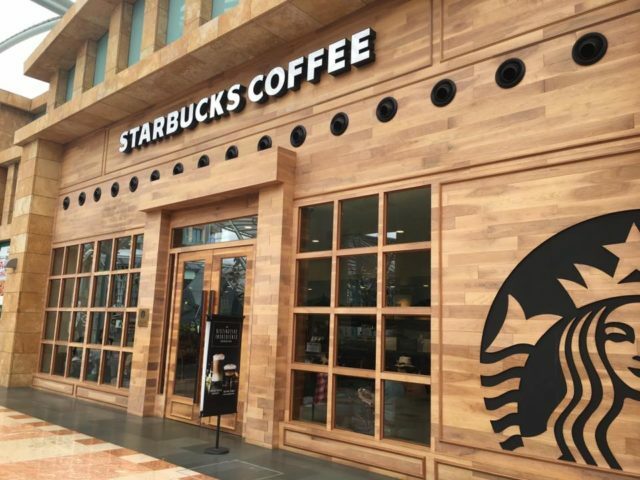 Not only that, with its opening, Starbucks launched its partnership with the Autism Resource Center, hiring six clients to work at this outlet. What more could we ask of this outlet? Some coffee connoisseurs will disagree on Starbucks coffee quality but the truth is that is hard to beat Starbucks 1 for 1 deals. Love it or not, Starbucks is still a great spot to hang out, chill or study. 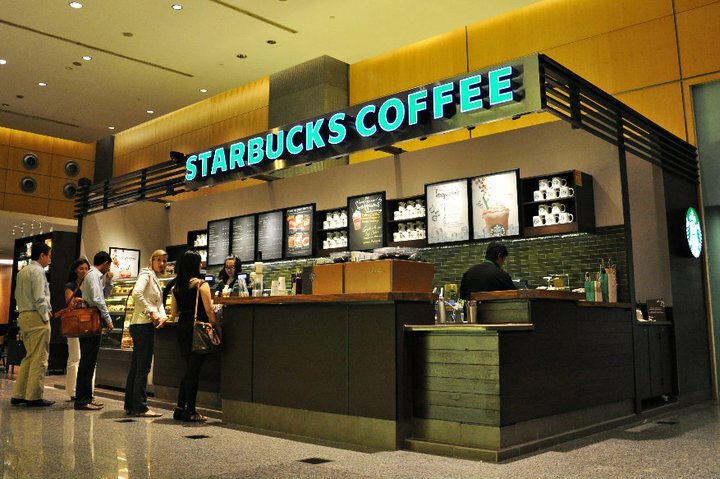 What is your favourite Starbucks in Singapore? Let us know in the comments below. The Best Birthday Promotions, Deals and Freebies To Treat Yo' Self To!